Gambit is a great little capelet designed to be worn OVER outerwear – clever and stylin’! 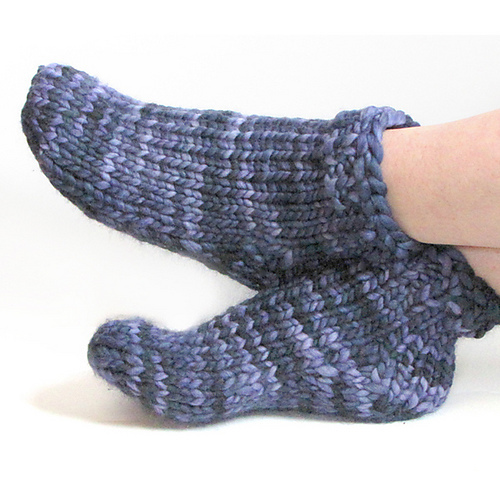 It’s knit in super bulky yarn, so it’s a satisfying, quick little knit. We used Malabrigo Rasta, we couldn’t *not* indulge in it’s ridiculous softness and depth of colour. If Rasta is a bit too precious for your needs you can also use Cascade Lana Grande or Brown Sheep Burly Spun (see below). This pattern involves a few techniques that newbies might be unfamiliar with (short rows, provisional cast on, grafting/kitchener stitch) and is not for the absolute beginner – an advanced beginner should be fine with it. 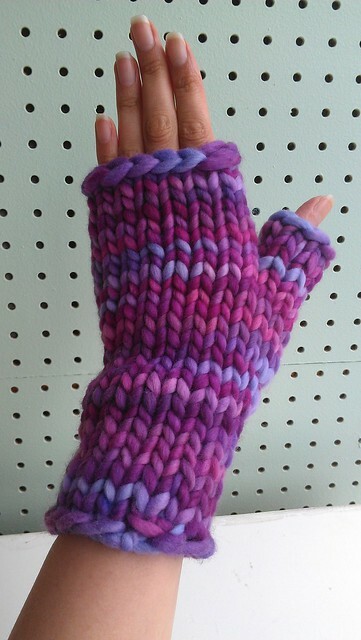 The shaping is created with short rows, so you’ll have to be diligent and keep track of your rows. I found that I didn’t like the type of short row technique used in the pattern, it left gaps (I don’t know if this is because I used a different yarn than the original design). 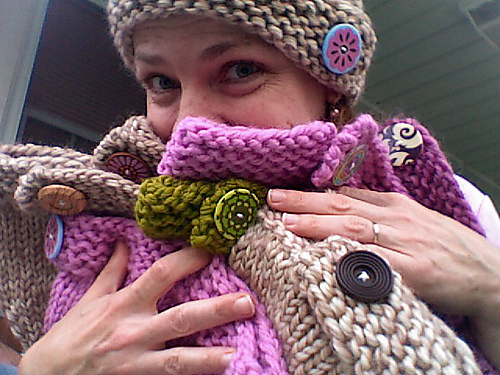 I changed to regular, old fashioned Wrap & Turn (W&T) short rows. Luckily, in garter stitch you don’t need to unwrap short rows, which makes things much easier. I worked to one stitch less than the number specified for the short row in the pattern, wrapped the next stitch, and turned. KNIT HACK: To help keep track and stay oriented I put a locking stitch marker in the stitch every time I did a short row. 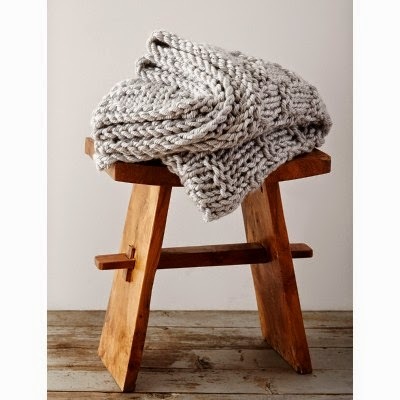 The garment is knit flat and joined together using kitchener stitch – anther happy discovery was that grafting in garter stitch is a bit simpler than in stocking stitch. 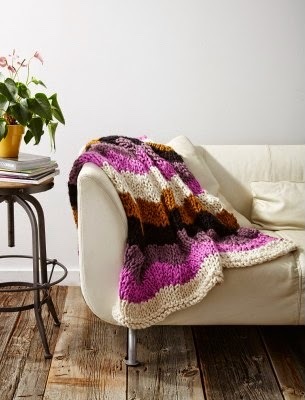 You are going to start the project with a provisional cast on (a cast on using scrap yarn), I like using the crochet or ‘chained’ cast on method, the scrap yarn comes out extremely easily. I wove in the ends using duplicate stitch and you can’t see them at all! One more thing, full disclosure – I accidentally used the wrong size needles (9mm/US13). Yup, even knitting store owners grab the wrong size on occasion. The capelet came out fine after blocking (our mannequin is on the small size and doesn’t move around much), but you should use 10mm/US15 needles to get the appropriate tension. 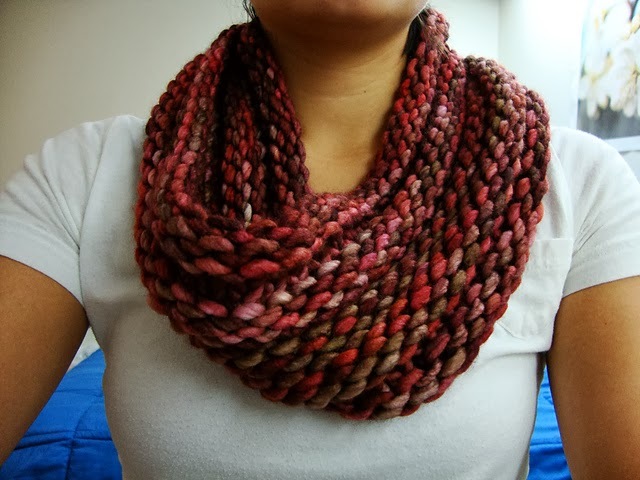 This entry was posted in brown sheep company, CAPELET, cascade, garter stitch, Knit Hack, MALABRIGO, short row, super bulky, Uncategorized on August 26, 2016 by Knit-O-Matic. 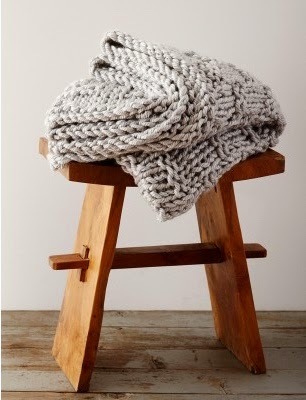 Really, Really, Really FAST Knits! 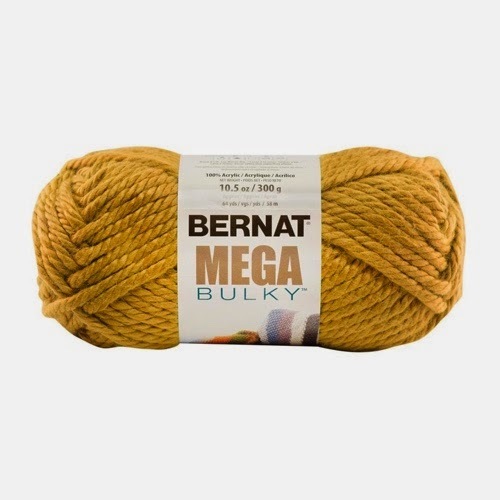 Bernat Mega Bulky is an arm knitter’s dream! It’s so big it calls for 19mm/US35 needles (19mm/S crochet hook)! 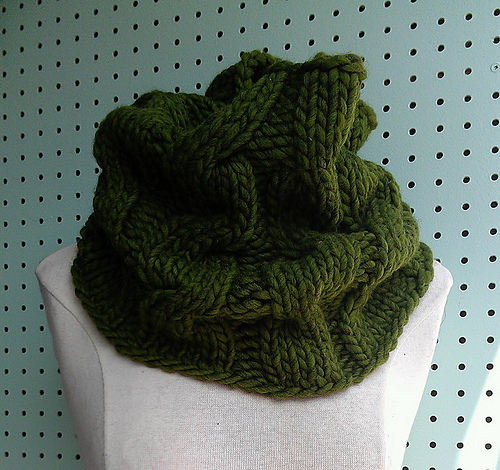 One skein is enough for a hat or smaller cowl, two is good for an infinity scarf. 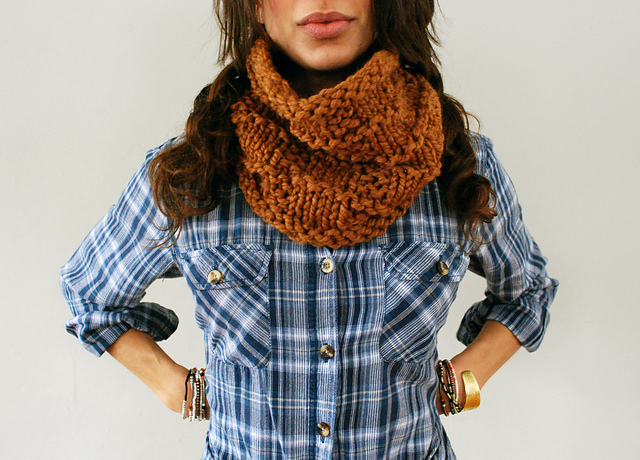 It’s especially well suited for making the Outlander Cowl. 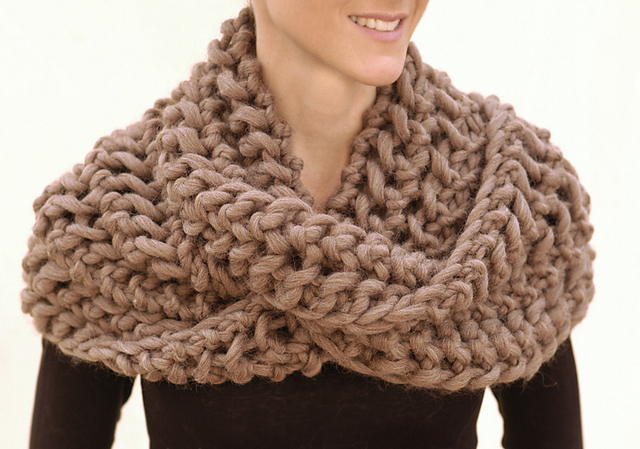 This entry was posted in Arm Knitting, Bernat, super bulky on February 12, 2015 by Knit-O-Matic. For a marled look similar to the picture use 2 skeins of Malabrigo Mecha ($17.97) or Berroco Vintage Chunky ($8.97) in different colours and work with 1 strand of each. 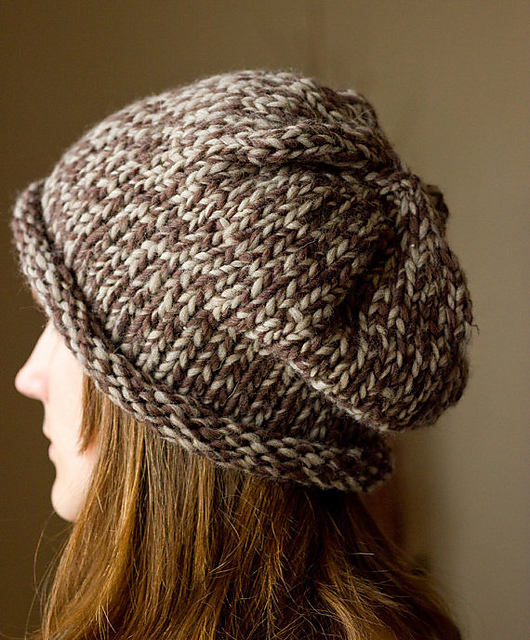 This entry was posted in brown sheep company, bulky, cascade, cowl, gift projects, hats, headbands, holiday, knitomatic free patterns, MALABRIGO, mitts, slippers, smc, super bulky on December 16, 2013 by Knit-O-Matic.